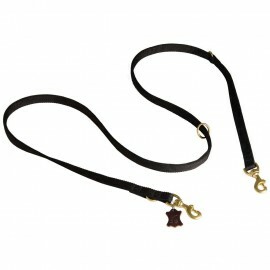 Beautiful and high quality leather dog lead for Labrador will give you only positive emotions. It is made of environmentally safe and natural materials and is supplemented with stainless elements. The handle with soft, light nappa lining. 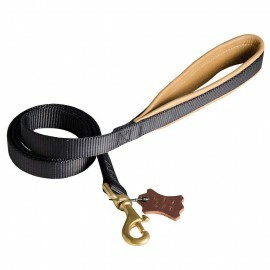 You will easily control the behavior of the dog with this accessory . 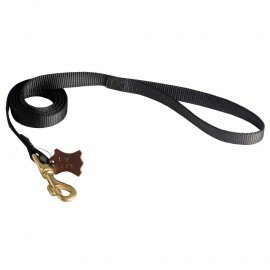 This dog lead for Labrador is made of natural and safe materials. One uses for creation the genuine leather, rust-free elements and solid sheath threads. Classic design and beautiful color will surely please you. Moreover, the accessory is very convenient, practical and durable. This will allow you to control your pet easily. 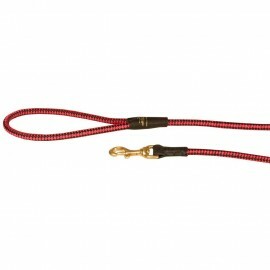 This qualitative dog lead made of nylon for Labrador fits for different kinds of activity. The model is equipped with strong and long-lasting nylon with the help of hand-sewed coat threads and with brass snap and handle loop. It bring comfort to the dog and to you. 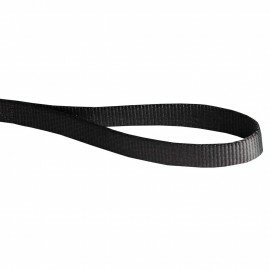 This is a perfect leash for your beloved pet! 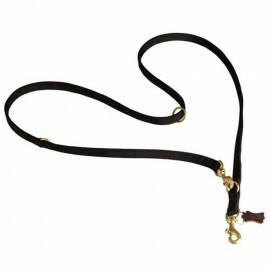 This leather dog lead for Labrador will please you with its comfort, design and quality. This model is hand-sewn from high-quality leather with the help of sheath threads and equipped with a strong snap. The handle has a nappa lining, so it is very comfortable. Contrasting colors create a perfect look. 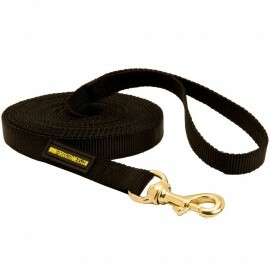 Beautiful, flashy and handy dog nylon lead for Labrador is just what you're looking for. 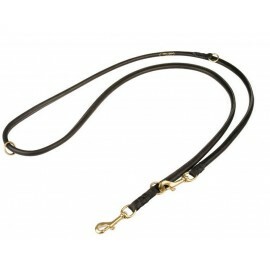 The product consists of a collar and a dog lead together and is equipped with strong and durable elements. 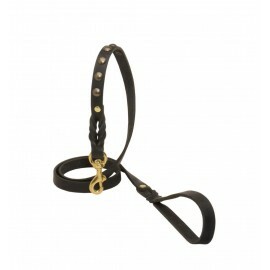 This model can be used for walks, sports, dressage and training. It is strong and comfortable, therefore the weight of the large dog will be withstood. 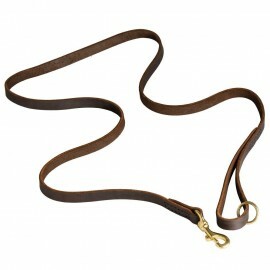 This stylish leather dog lead for Labrador has original and beautiful design. It is made of natural oiled leather and is equipped with rustproof durable elements. Decorative brass elements and braid work add a special style to the accessory. Besides, the product is practical and very convenient. You will appreciate its characteristics. 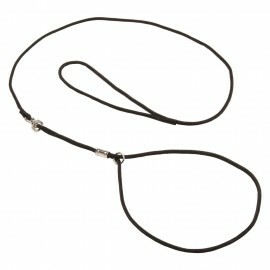 Safe and high-quality model of nylon dog lead for Labrador will definitely please you. 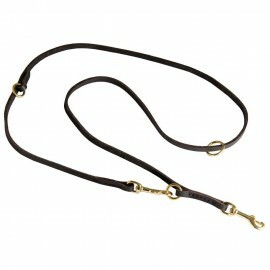 It is hand-sewn from thick nylon with the help of sheath threads, equipped with two snaps and three rings made of brass. The product fits to every weather. 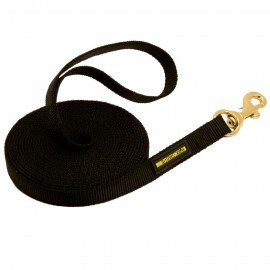 You can safely use it for dressage, runouts, work, training and tracking. 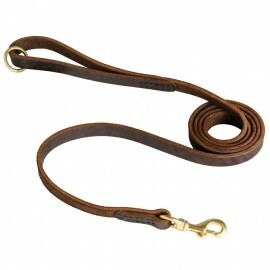 Have you not yet chosen a leather dog lead for your Labrador? Then you can look at this model. It is made of natural and environmentally safe materials, equipped with two carabiner hooks made of brass and is supplemented with three rings. Thanks to these elements, the accessory is user-friendly and durable. It fits for different purposes. 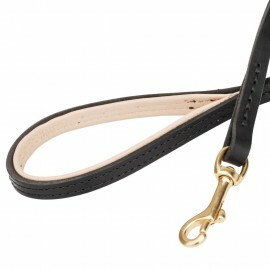 A good dog breeder always looks for quality and stylish accessories for his pet. Such is also the leather dog lead for Labrador. 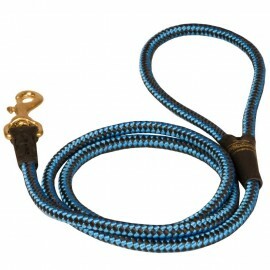 The product is made of genuine leather, equipped with two brass carabiners and three rings. This model is made in two colors (black and brown) and is produced in two sizes.